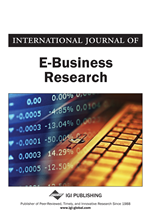 This study explores the relevant dimensions of organizational slack in small and medium enterprises (SMEs) and investigates their impact on adoption of different types of information technology (IT) innovations. Using recent data from a representative sample of 2,296 U.S. SMEs, we find that the slack-innovation relationships previously described in larger firms do not hold well for SMEs. Our results show potential slack (measured as access to external credit) to be a strong predictor of technology adoption in SMEs. By contrast, available slack appeared not to be a significant factor in SME innovation adoption. Moreover, the direction of the effects of potential slack was moderated by the capital-intensity of the innovation. In particular, e-commerce, which required lesser financial resources for SME adoption, was found to be pursued by those with lesser potential slack. We argue that, in some cases, innovation adoption may represent a form of “bricolage” by resource constrained SMEs.